The northeast of England is fortunate in having several first-class jazz festivals during the year; Chester le Street, Gateshead, Darlington, Durham, Ushaw, Newcastle, Whitley Bay and at least one other, as yet, unannounced event in the autumn. This week it’s the turn of Darlington to take centre stage. Festival organisers proudly proclaim: Bringing Jazz to the Town Centre. And that is exactly what they do at this friendliest of jazz festivals. 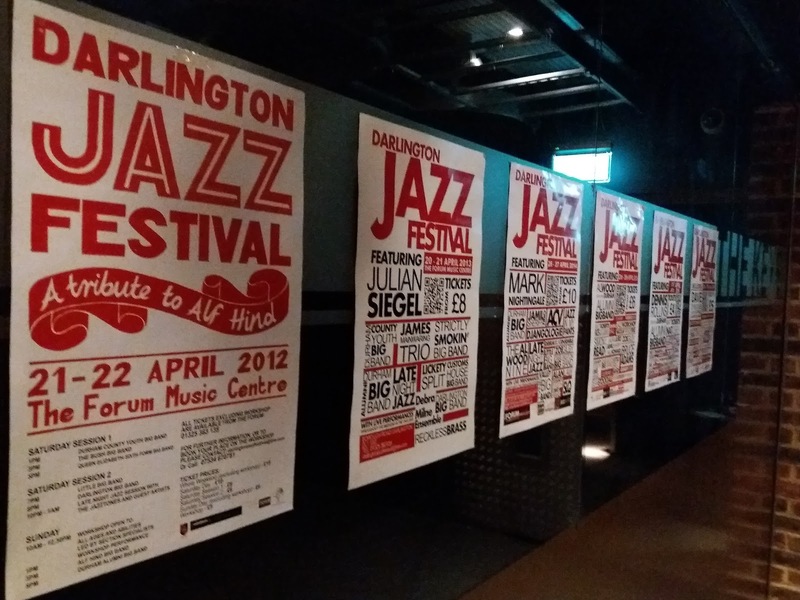 The 2018 Darlington Jazz Festival is in its eighth year, growing at a sustainable rate year on year. The big names are in town but it is the local aspect that makes the Darlington event what it is. As important as established performers are in attracting people to Darlington, the promotion of local, talented musicians is central to the festival’s ethos or raison d’etre, call it what you will. Arriving at any one of the festival’s numerous town centre venues you will, likely as not, be greeted by young, smiling volunteers. And what’s more, there is every chance that you’ll see these young faces again somewhere in town performing at the festival! This year there is an earlier start than usual with the Darlington Big Band in concert at Darlington and Simpson Rolling Mills Social Club on Wednesday evening (May 2), first set at eight o’clock. A treat is in store on Thursday at the threatened-with-closure Crown Street Library with Matt Roberts leading a jazz improvisation workshop. Registration is from 5:30, with the event running from 6:00 through to 9:00pm. Trumpeter Matt is a product, make that a success story, of the year-round work undertaken by the dedicated tutors of Durham Music Service. Rising through the ranks of the youth big band (Durham County Youth Big Band), graduating to star in the senior band (Durham Alumni Big Band), then music college and now working on the London jazz scene, the ‘local hero’ tag can certainly be applied to the unassuming Roberts. One is loathe to pick out a highlight but, what the hell?! 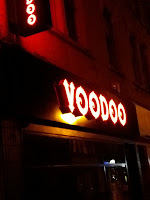 Friday evening (May 4) head to the Voodoo Café on Skinnergate, grab a beer, ascend the stairs, join the queue, doors open at 8:30, claim your seats – the place will be packed to the rafters – and wait with baited breath for the nine o’clock start of the first of two sets by the Matt Roberts Sextet. Now an annual occasion, trumpeter Roberts’ gig is, at the very least, a serious contender for Gig of the Year…every year! 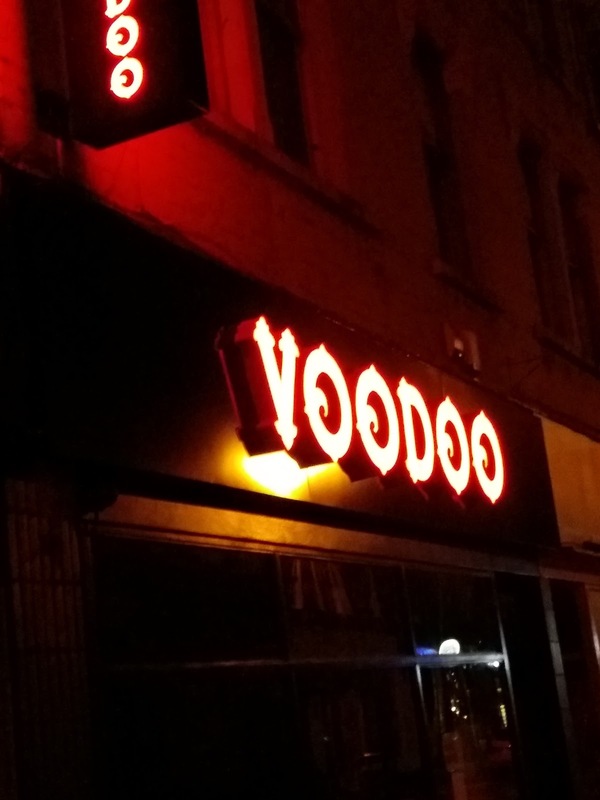 Minutes before Matt takes to the stage he’ll find time to say hello to all and sundry such is the friendly vibe at the Voodoo Café and, come nine, hold on tight for a bop/post-bop thrill of a lifetime. Roberts loves the music of Miles Davis, Clifford Brown, Lee Morgan, Freddie Hubbard, Fats Navarro, Nat Adderley and many more. In previous years Roberts’ concerts have focused upon one or more of the above trumpet legends. This year Kenny Dorham will be in the spotlight and Roberts has assembled an outstanding sextet to guarantee an evening of unbridled excitement. Roberts’ fellow frontline horn players will be Riley Stone-Lonergan on tenor and the astounding George Grant on alto. Killer solos one after the other, all night long, you’ll scarcely believe what you’re hearing. And Roberts’ A-list rhythm section (Chris Eldred, piano, Daisy George, bass, and drummer Sam Gardner) will stoke the bop fires ’til the sun rises over Darlington town centre. Well, perhaps not an all-night session – chance would be a fine thing! – but certainly through to eleven. Pay on the door – £7.00. – you’ll love every minute of it. Saturday (May 5) is one busy, busy day at the Darlington Jazz Festival. This year, for the first time, Darlington New Orleans Jazz Club will be part of the celebrations. The long-running Crescent City-inspired club presents American virtuoso pianist Jeff Barnhart working with reedsman John Hallam, guitarist Keith Stephen and bassist Bruce Rollo. A top class gig in its own right, it is marvellous that the lunchtime concert (12:30, £10.00 on the door) will benefit from being part of a high profile event in the heart of the town. The venue – St Augustine’s Parish Centre – is on Larchfield Street just two minutes’ walk from Skinnergate. And what’s more there is a large car park in its leafy grounds! Just around the corner – every venue is in easy walking distance – in Mechanics’ Yard is Quakerhouse. An unprepossessing building, don’t be fooled. Once inside you could be in a hostelry from the 18th century. Come to think of it, you probably are! A CAMRA-award winning pub, the Quakerhouse has long-since become Darlington Jazz Club’s HQ. 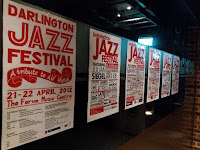 Jazz gigs twice a month, year round, this is where it happens, the coal face of the Darlington jazz scene. On the Saturday afternoon of the festival there is a free admission triple bill of jazz in the downstairs bar. Starting at one o’clock, first up will be the Graham Hardy Trio as ‘Jazz Comes to the Quakerhouse’. Joining Hardy (trumpet & flugelhorn) will be pianist Dean Stockdale and Mick Shoulder (double bass). Following Graham Hardy’s set will be the duo of Joe Venuti and Eddie Lang, aka Emma Fisk (violin) and James Birkett (guitar). Fresh, if not direct, from appearing at Cadogan Hall with Keith Nichols, Fisk will present an entertaining and informative set alongside master guitarist Dr Birkett of the music of the pioneering ’20sVenuti-Lang partnership. Closing the afternoon’s free admission session will be the familiar local faces of pianist Jeremy McMurray and the Pocket Jazz Orchestra playing a set of standards through to about four. Do take a wander around the town centre. Adjacent to the Joseph Pease statue on High Row you’ll come across an awning covering a gathering of the jazz stars of tomorrow. The rain will hold off (all it takes is a rain dance), take some photos, eat on the move, it’s the very essence of a festival. The outdoor afternoon jazz stage will get underway around noon Saturday, same again Sunday. Saturday evening is the big set piece occasion of the Darlington Jazz Festival. Central Hall is a big, imposing 19th-century civic building. At seven o’clock the Victorian-era room transforms itself into a jazz concert hall. The Basie band, perhaps the MJQ could have played here to a sellout crowd, but tonight it’s a big band double bill featuring the legendary Al Wood (a keen supporter of the festival) conducting the Durham County Youth Big Band and the near-legendary (give the man a few years) Alan Barnes as guest soloist with the fantastic Durham Alumni Big Band. Barnes is good value any time, put him alongside an orchestra chock full of accomplished soloists and it adds up to a night of unforgettable big band jazz. A sellout is anticipated so, to be sure of your ticket (£12.00.) telephone the Dolphin Centre (Central Hall adjoins the multi-purpose municipal building) on 01325 406600. If vintage fashion is your thing why not dress for the occasion? Spot prizes will be on offer and for all you know, you could be a lucky winner! Saturday ain’t done yet, there’s a late-night jam session about to start! Give Barnesy a few minutes and he’ll be toe to toe with Darlington’s ‘Young Turks.’ Get yourself (another) drink, settle down in the Dolphin Centre’s café/bar and watch the musical fireworks. You play an instrument? Better still, get up and have a blow! Sunday…rise and shine! Come on, no time for a lie-in, there’s a jazz session about to start at 10:15 – that’s 10:15AM. Yes, that familiar ‘jazz’ time of day sees Hash Bar at 14 Coniscliffe Road (it’s just around the corner from wherever you are in town) offer a fine Sunday morning Gypsy Jazz brunch. Bright eyed and bushy tailed will be ace guitarists Giles Strong and Mick Shoulder. And if they can get there on time there is no excuse for you not making it! Following their set another duo – Shaun Henderson, guitar, and Gordon Dyke, violin, will help you finish your cup of strong, black, hangover coffee. And don’t forget, at the far end of High Row, by the Joseph Pease statue, there will be more outdoor performances to catch from 11:30 through ’til two o’clock. Just before two, stroll over to Bondgate Methodist Church (it’s on Bondgate) and take a pew for an afternoon of jazz – instrumental and vocal – featuring commissioned works by pianist Paul Edis. It is a mere fiver admission on the door and you get not only Dr Edis’ superb trio but Vocal Collective (it’ll be like being in church…) and guest star, the near-legendary (!) Alan Barnes.